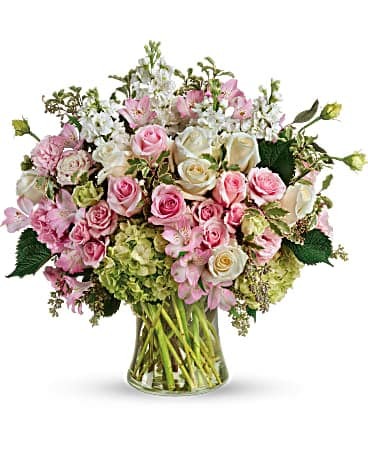 Simply beautiful, just like your love! 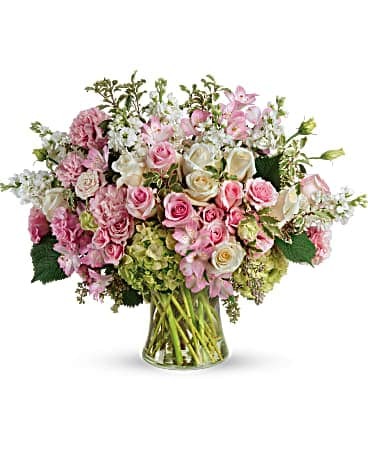 Celebrate your feelings with this extraordinary bouquet of pink and white roses, accented with delicate greens and arranged in a graceful glass vase. 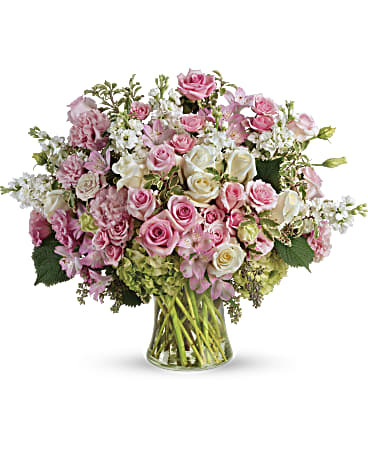 An arrangement that will be remembered always!